A brand NEW design unique to my shop on Etsy! 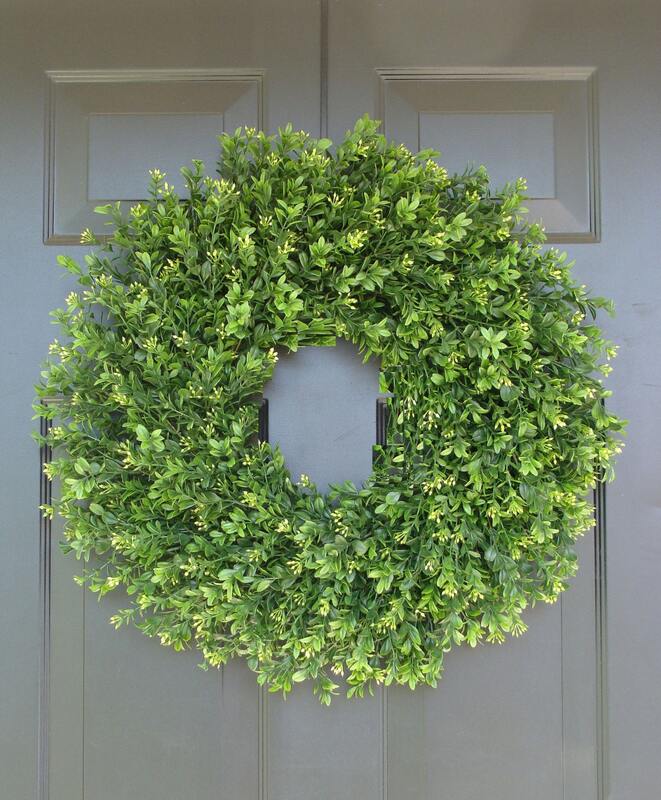 A VERY THIN artificial boxwood wreath! 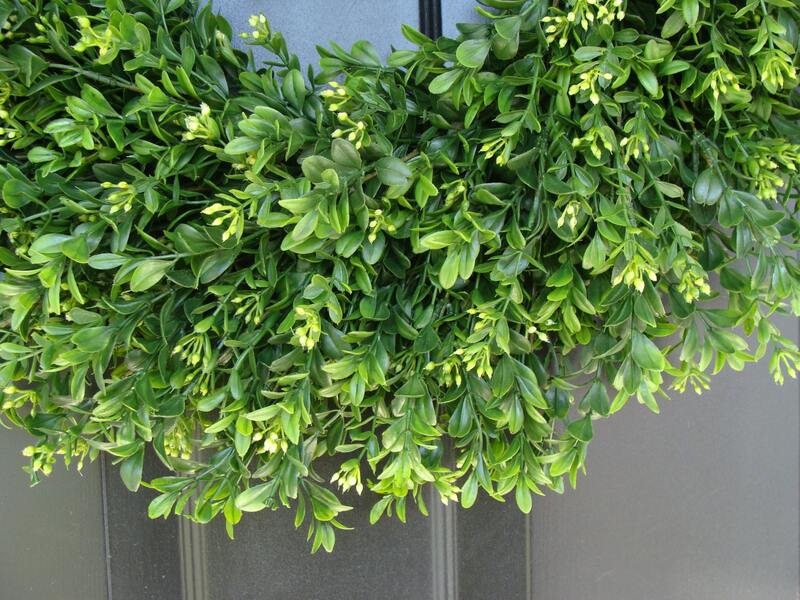 - There is no use of glue, grapevine and the boxwood is plastic so this wreath will stand up to the heat generated between the doors.This wreath measures 20 inches in across, 3 inches deep. 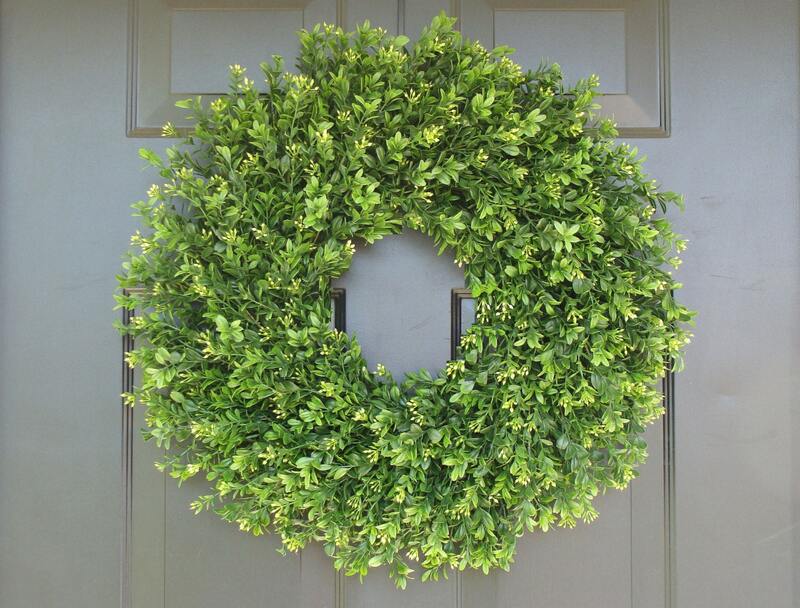 As you can see it is very full and lush as with my other thicker boxwood wreaths. 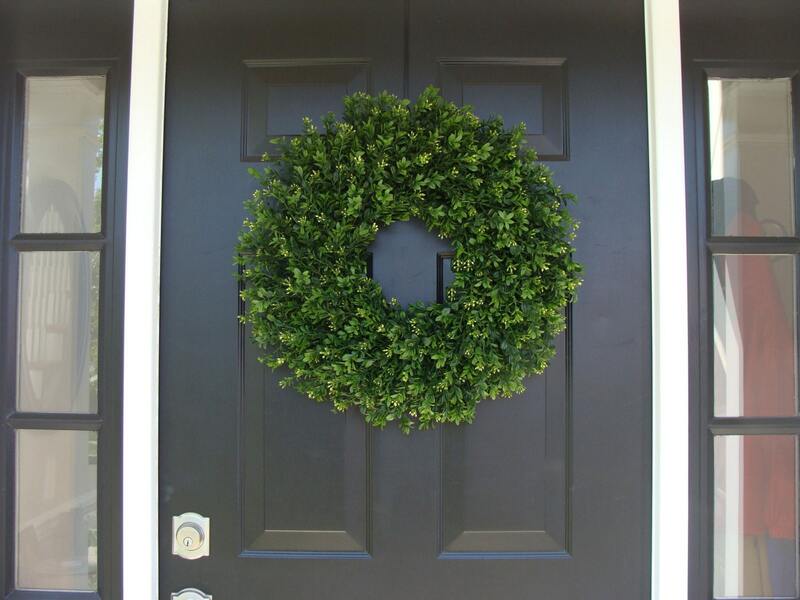 This is the perfect universal door wreath for any situation as it can take some sun, is rain resistant, and thin! Available in many sizes from 14-24 inches. It is always recommended that you personally measure the space to determine the correct size. I will also be happy to suggest a size for you as well if emailed. 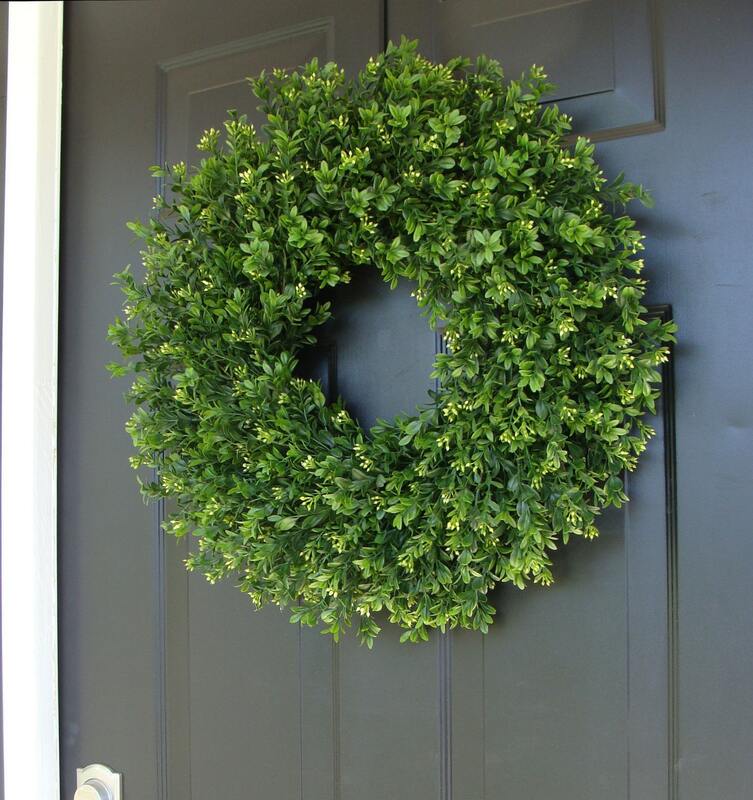 Beautiful wreath and made well. It took 8 days to receive which is the worst service I have received from any company on Etsy. The company does state 3-5 Days to process the order so expect it.